We’ve a brick house ?. She’s mighty mighty (expensive to maintain) and I don’t know what to say about that lettin’ it all hang out part. Let’s just let that lie. 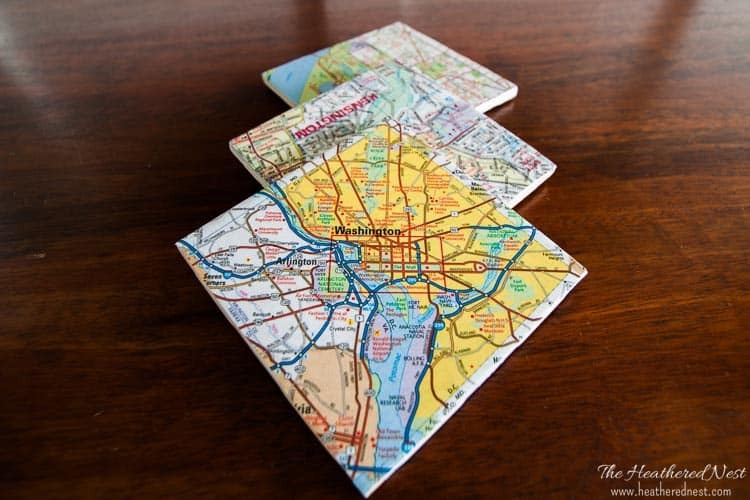 Do you have your own brick house? Or any kind of brick for that matter, either inside and/or outside said house? 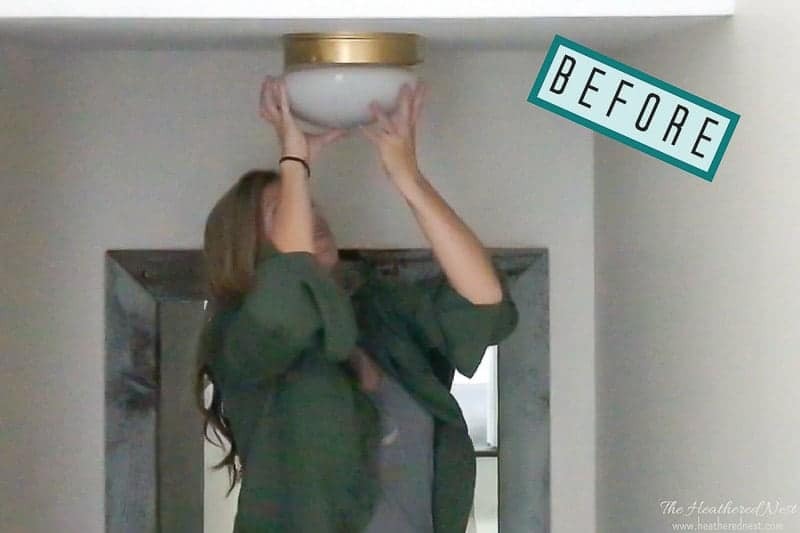 Is that brick a low-light rather than a highlight of your home? 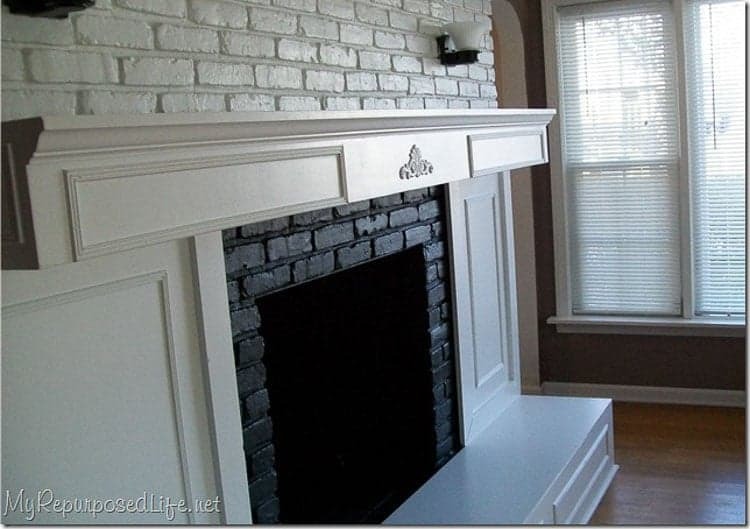 Maybe a brick fireplace that looks like more of a faux-pas than a focal point, perhaps? I know the feeling! And so do LOTS of other people. 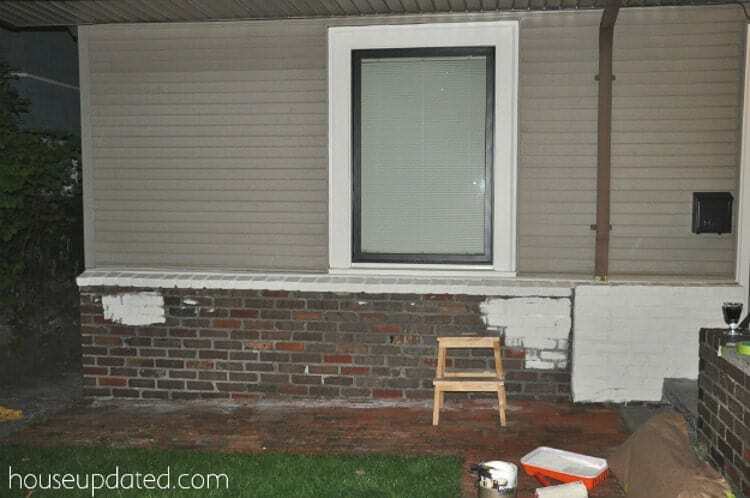 There aren’t many posts on our website that draw as many questions as the ones we’ve done on brick makeovers in the past. 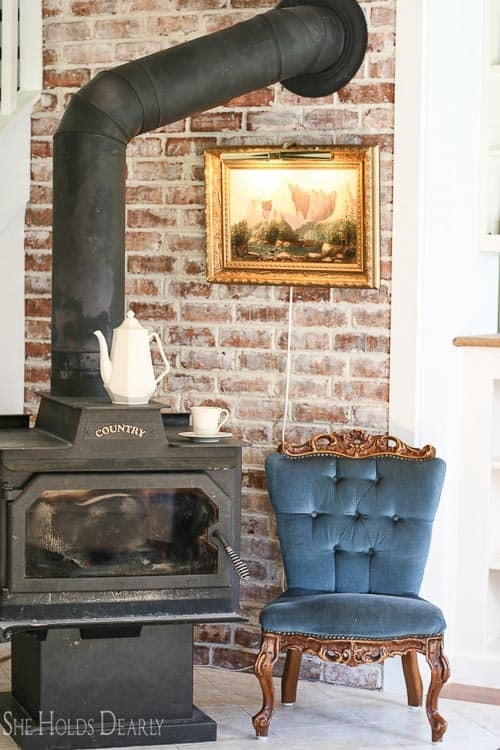 Our german smear tutorial, painted brick fireplace tutorial and $10 wood stove/firebox update are among the most popular on our entire website. 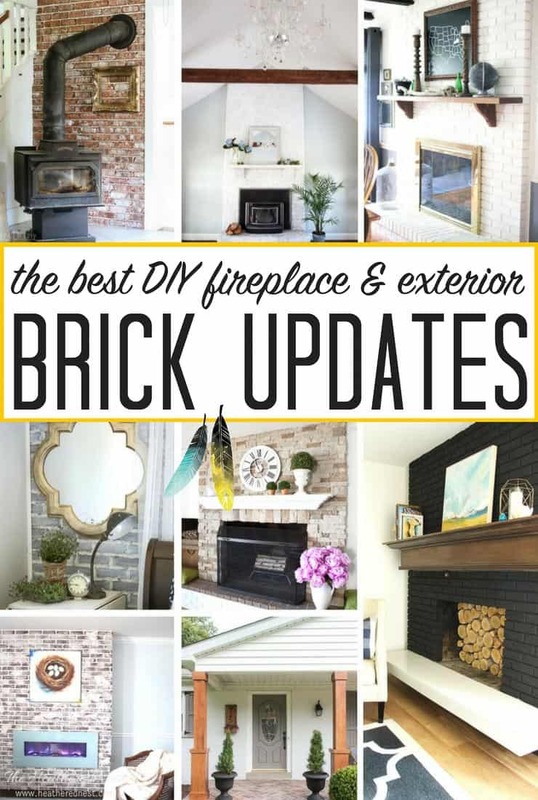 Since brick seems to be something that so many of us want to love, but tend to loathe in our homes, we decided to round up the best techniques and tutorials we could find to help you give your own brick a much-needed makeover! 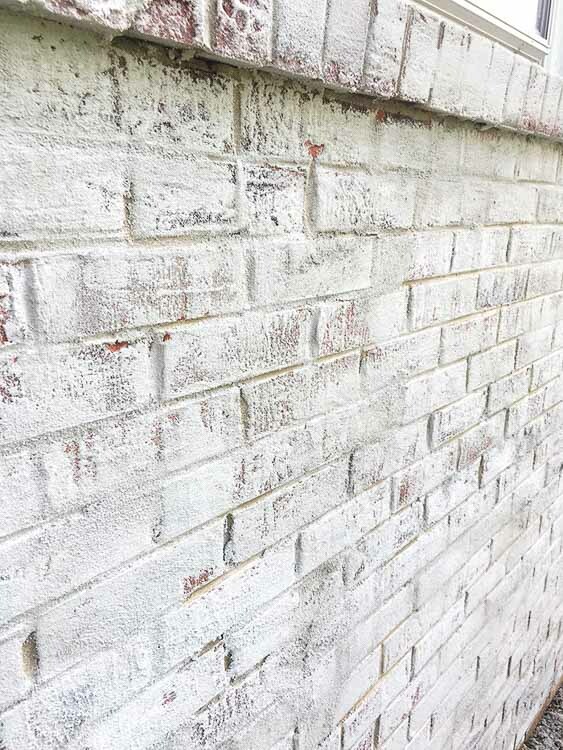 This tutorial by my friend Jennifer shows a whitewash technique (which provides less coverage than typical painting so that more of your brick shows through) using chalk paint. I like Erin’s makeover because she shows the difference between her brick when it was whitewashed versus fully painted for those questioning which look they prefer. Interesting way to address grout that is less than desirable looking. 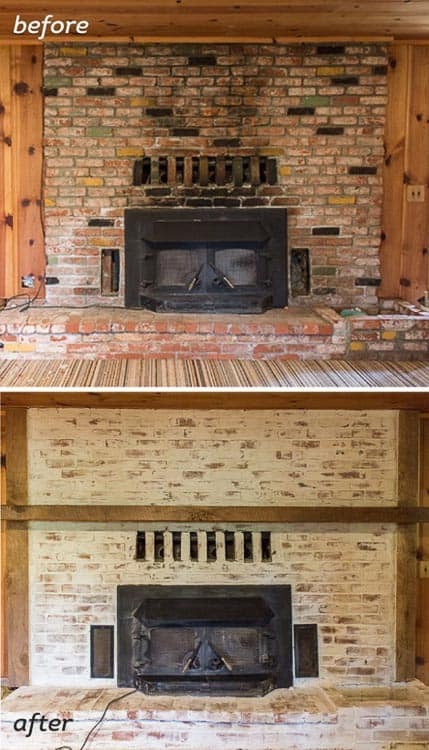 This is definitely our most popular brick makeover to date. 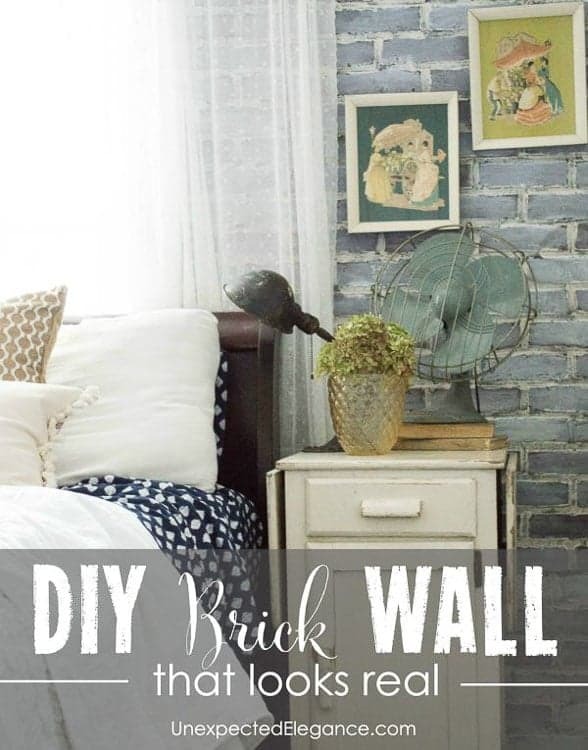 And this is a VERY inexpensive and relatively easy technique to give brick a beautiful, rustic look. Never would have thought up this technique in a million years. 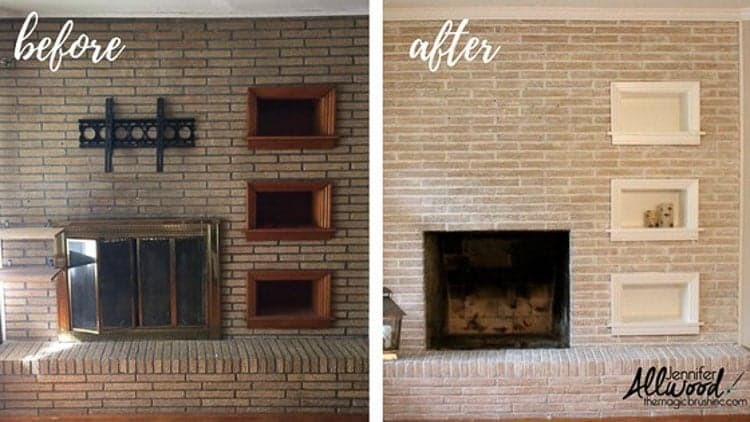 If you have some broken or chipped brick on your fireplace, or another interior spot that’s driving you nuts, you may want to check out this DIY. 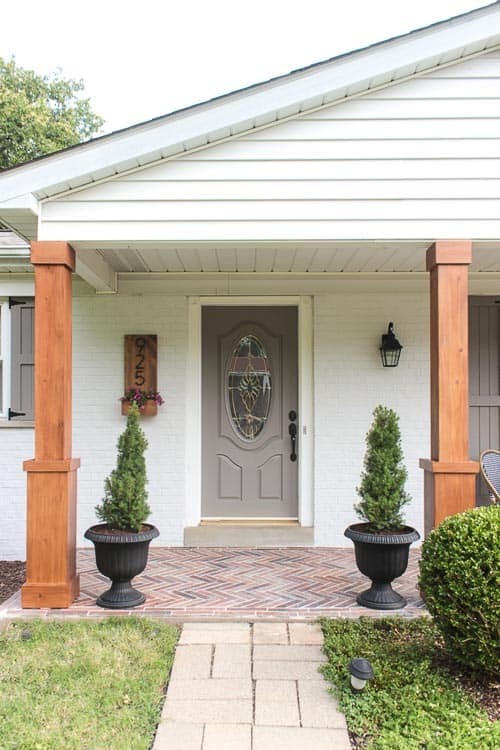 If you want some exterior inspiration, check out this makeover. Not only does she update her exterior brick, she adds a brick sidewalk using a specific type of brick product. 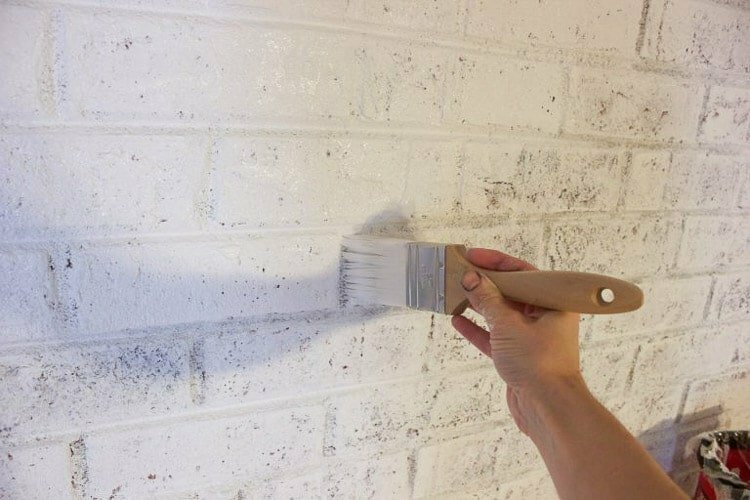 Different take on painting brick using a specific primer first. 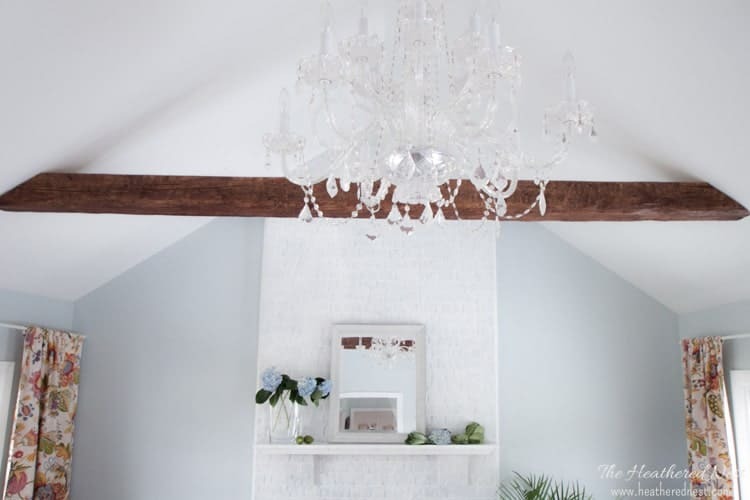 Love this makeover. 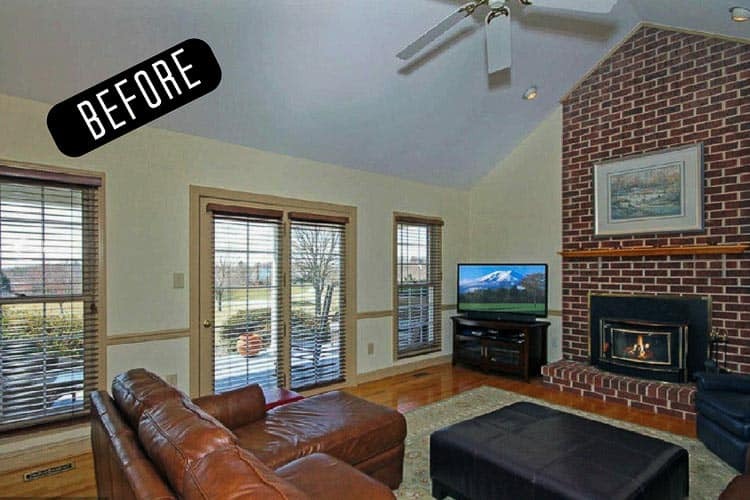 If you absolutely want to get rid of the brick look, cover over it! 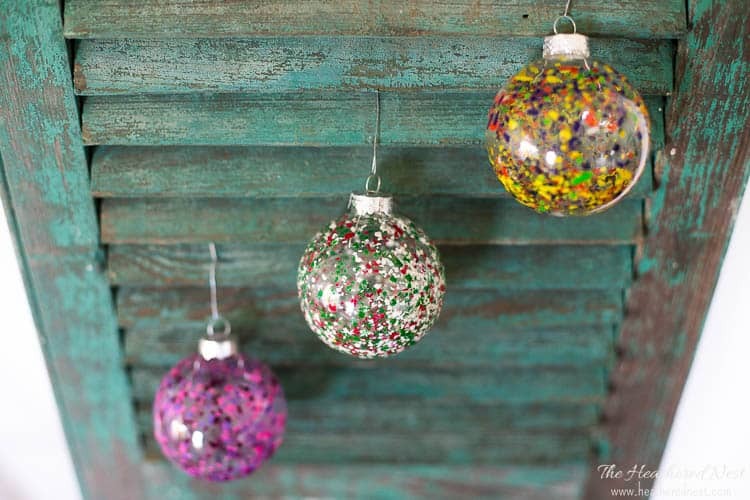 Another way to downplay outdated brick. Gail covers over much of the brick with wood moldings. 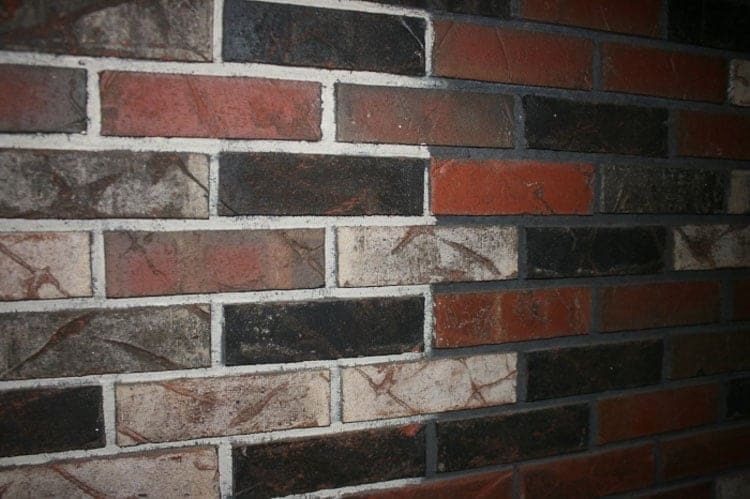 We’ve used this brick veneer product as well, and love it! 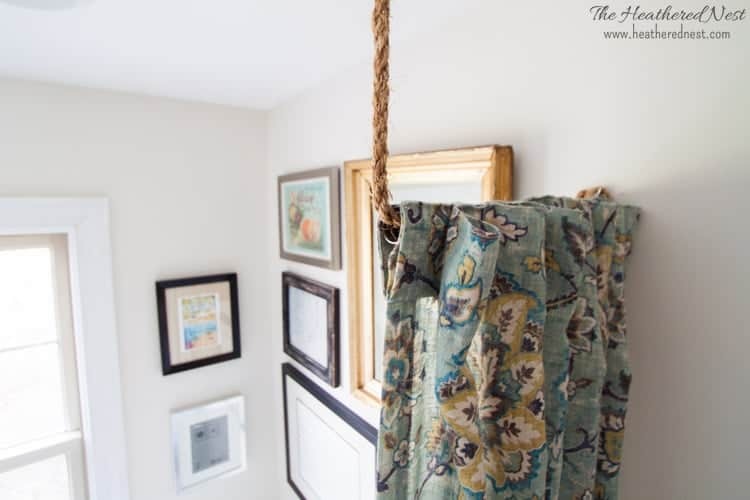 Sarah has written a detailed tutorial on the installation. 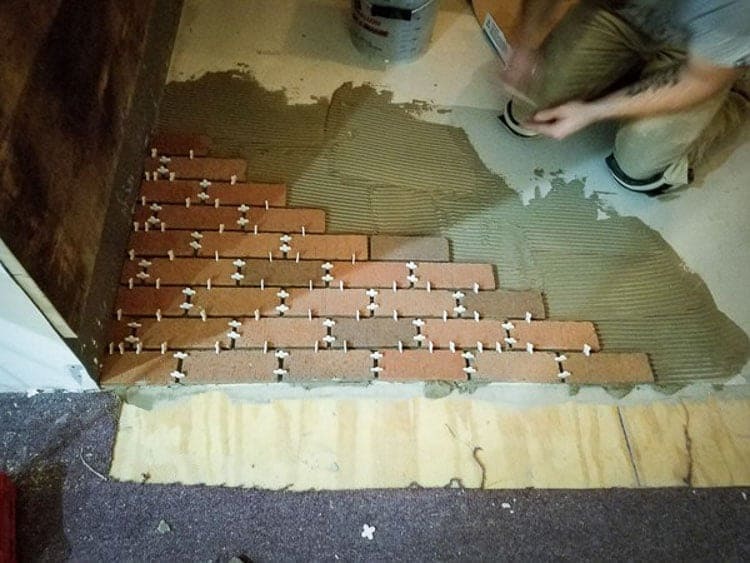 Considering using brick as an interior flooring choice? Here’s an installation tutorial. Three hours. WHAT the WHAT?! Yep. 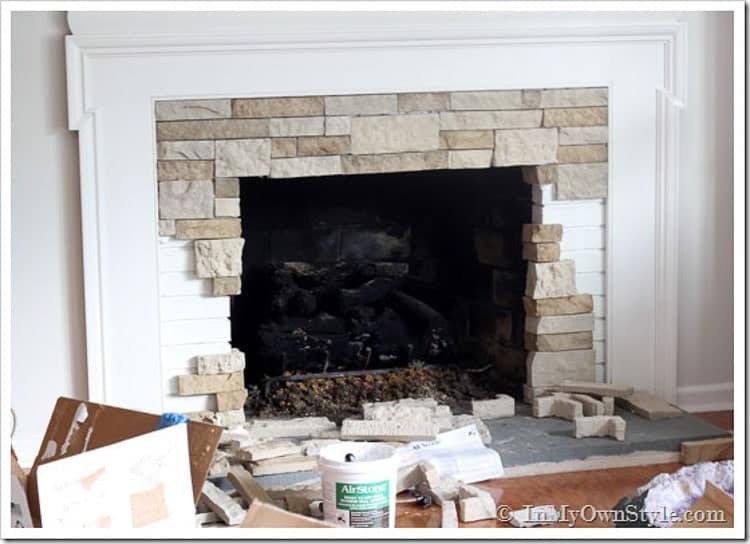 Took Diane just 3 hours to do this fireplace makeover using a product known as “airstone” or a heavy styrofoam faux stone. I’m wanting to find a way to try this product out now, too! 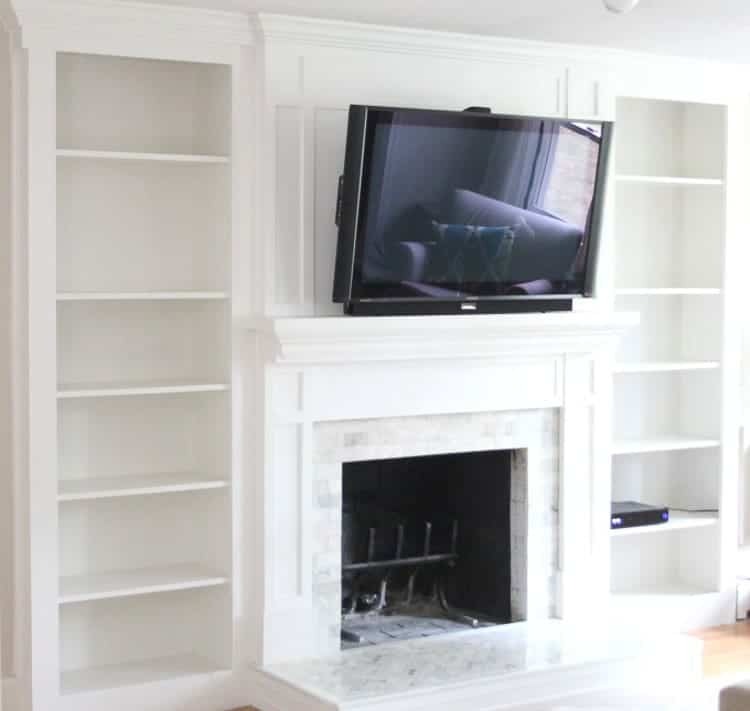 Most painted fireplaces you see are painted white. 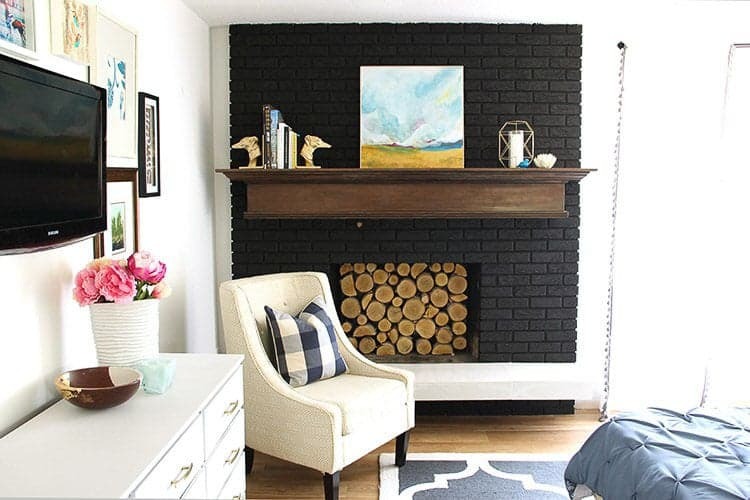 But there have been a TON of black fireplaces cropping up recently, too. If you love that look, check out Jen’s tutorial. 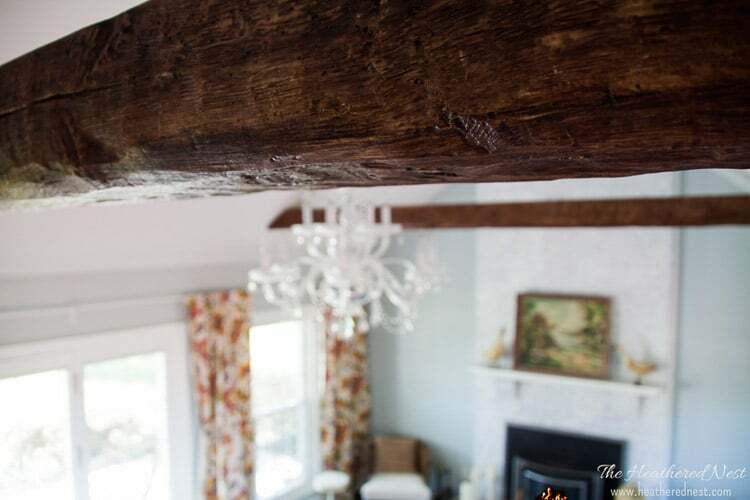 She also stripped and refinished this gorgeous wood mantel and talks about that process as well. 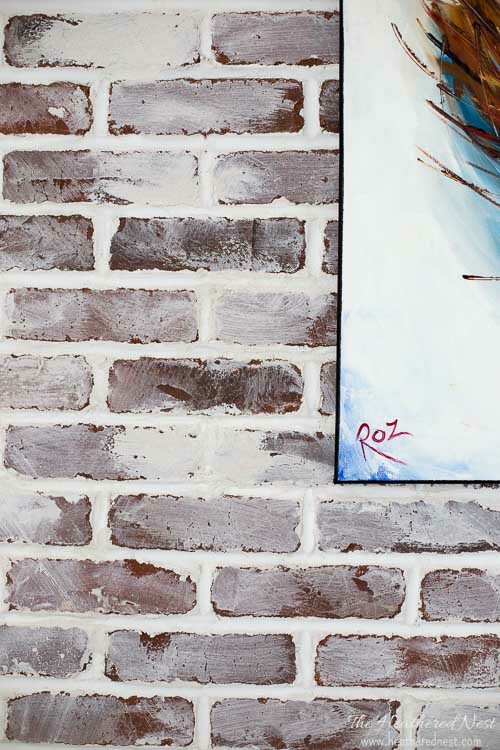 Less expensive than brick tiles are faux brick panels, but many people don’t know about this product, or choose not to use this option because the “brick” looks fake…which is true. It IS fake. 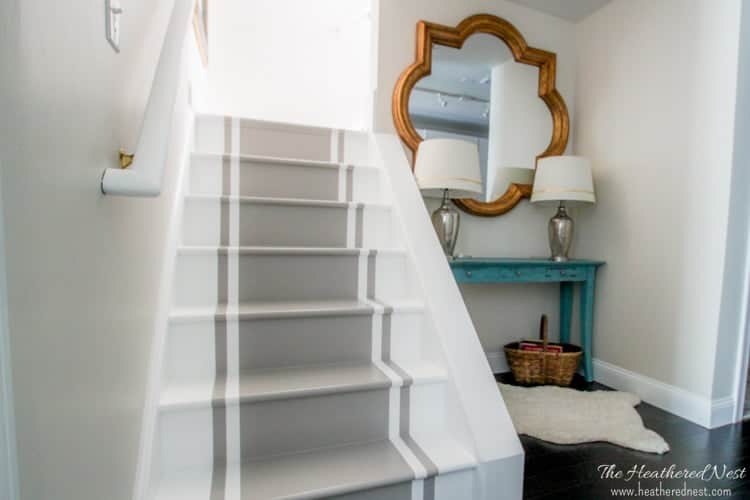 But Angela spruced it up with an awesome paint technique, and I’m now a believer in this option for brick lovers on a budget! 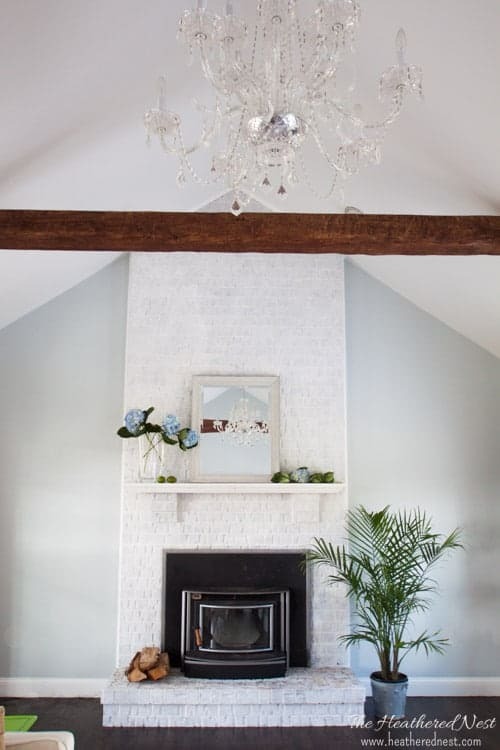 Love love love this amazing fireplace makeover using concrete! 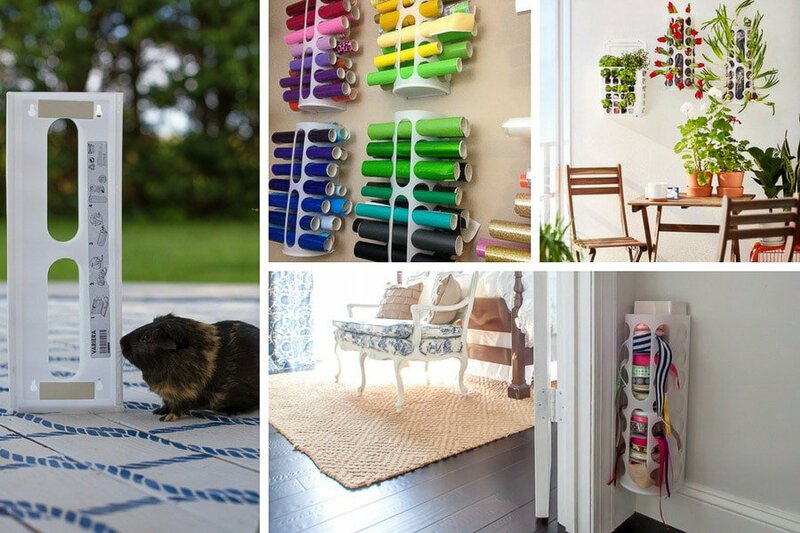 Not only is it budget-friendly, but it gives a completely different, modern look for a space. Tasha walks through the whole technique. 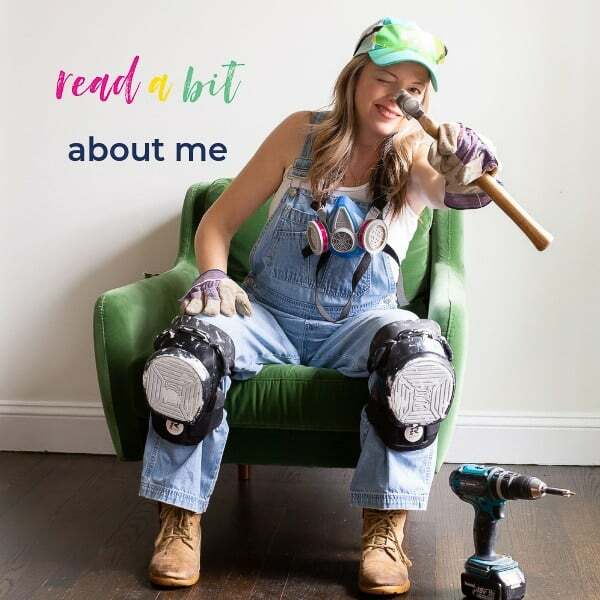 Jenna Sue started out with a rough looking brick fireplace, and with some serious elbow grease she turned it to a beauty. She did a german smear technique on her brick, but because of the starting point, hers was much more time consuming than ours. 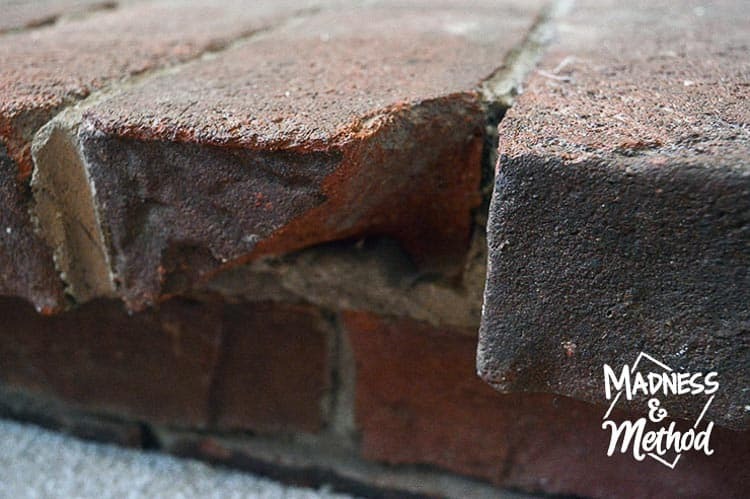 Good tips for dealing with brick that is far from ideal. 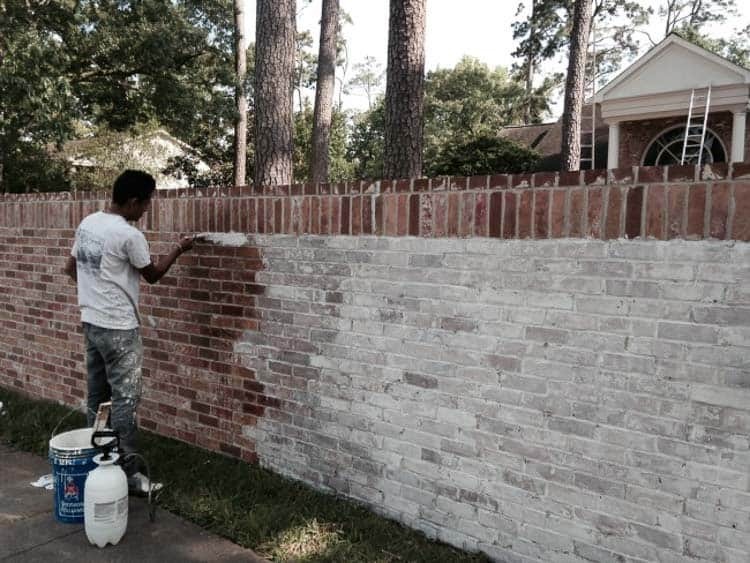 Some good thoughts here on painting exterior brick. Julie’s brother did a german wash on his exterior brick. 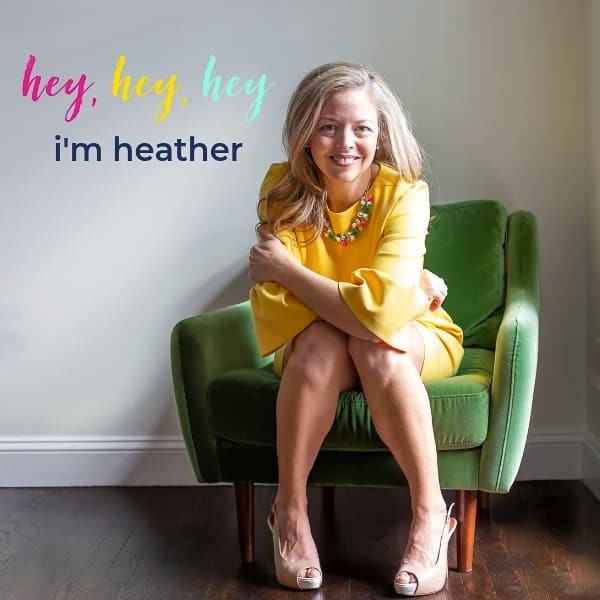 Check it out for everything you need to know! Limewashing is a beautiful technique as well, but the ingredients used are different than those of other techniques. This post discusses the basics. 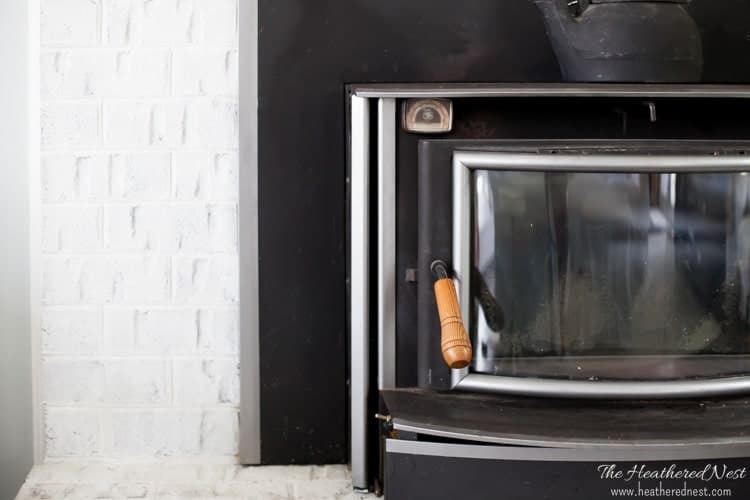 Got some brassy or otherwise outdated metal or faux metal accents on your wood stove or firebox? Here’s how we updated ours for less than $10. That’s awesome Lisa!! Would love if you let me know how it goes!! And if you have any questions, email me!! I’m always looking to make sure the tutorial for the german smear we’ve made is as good as possible!! Good luck!! 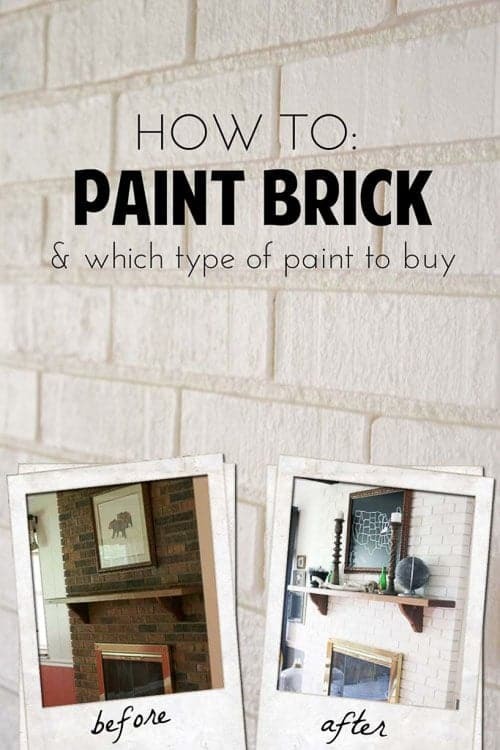 Thank you for including my post about painting brick!